Igor Trepeshchenok is a Latvian photographer currently based in Hamburg, as well as the founder of Ost SEE magazine, which publicises photographers from the Baltic states. His previous works have included Between Two Waters, a study of the formerly heavily industrial city of Liepāja in western Latvia at a time of intense economic challenges; and Harmony Close, focusing on a troubled housing estate in a former mining town in Cornwall. 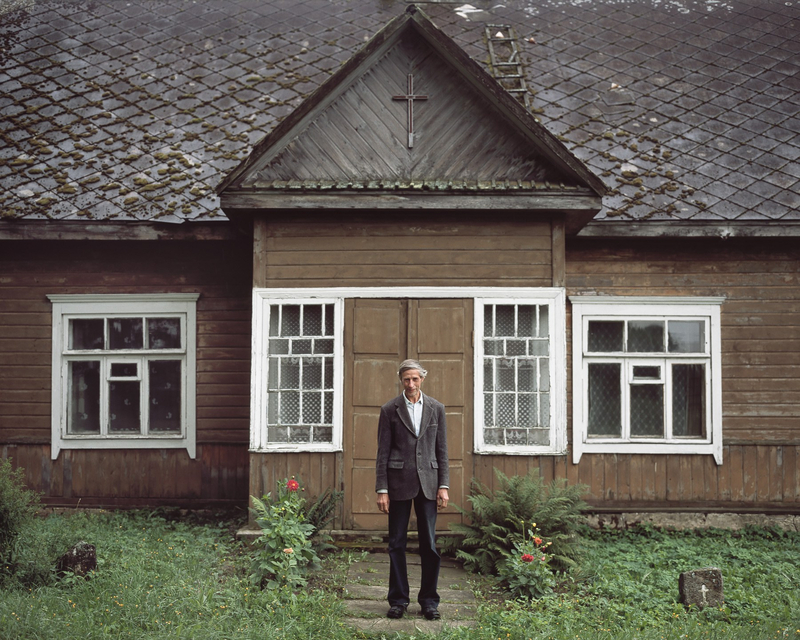 His most recent project, Terra Mariana, looks at the people of Latgale, the only part of Latvia that has historically been majority-Catholic, and how their faith affects daily life in the region. He explains a little more about the project below. The land where Estonia and Latvia lie was once called Terra Mariana, the Land of Mary. During the Reformation, the Lutherans abandoned this name, but in the eastern region of Latvia, Latgale, it was kept. This was because Latgale, before the Christianisation of the region, worshipped another Mary: Māra, the goddess of fertility, motherhood and the earth. Later Mary and Māra become inseparable from each other and deeply rooted in every heart, soul, and household. While enduring Polish pans, German lords and Russian tsars, local rituals and Catholic traditions were thoroughly kept up in every Latgalian house, in order to preserve the region’s identity, culture, and language. Today, modern local and global economic and political processes have turned out to be more devastating than past foreign invaders and have endangered the unique culture of Latgale. There is a concern that these already sparsely populated rural areas may soon become empty. My grandfather comes from this area, and as a child, I remember him saying “we are going to Latgale” as if it was a diﬀerent country. While we were on our way there, as we crossed the River Aiviekste, he would always say: “Here Latgale begins…”. In 2011, by which time I’d moved to England, I decided to go back to Latgale to get to know it better. Was it by accident or by intuition that I joined a group of Catholic pilgrims heading on foot to Latvia’s most important spiritual center, Aglona, in the heart of Latgale? Here, on the road I rediscovered the land, witnessing Latgale and its people going through hard times; farms and villages being abandoned; elderly people being left alone and a lot of land left uncultivated. However, in many people dwelling in Latgale a deep faith and sincere love for the land where they live and which they work on can still be found. Over the next five years, I went back to the region repeatedly, taking new routes with the same group of pilgrims, or with different ones. I felt it was the perfect approach to this story – the hardships of a long journey under the strong sun or severe rain; inner struggle during the moments of alienation from the religious rituals; followed by moments of repose and peace that let you see the subtle beauty of this land and the people you meet during the journey. You can find more of Igor Trepeshchenok’s work on his website.